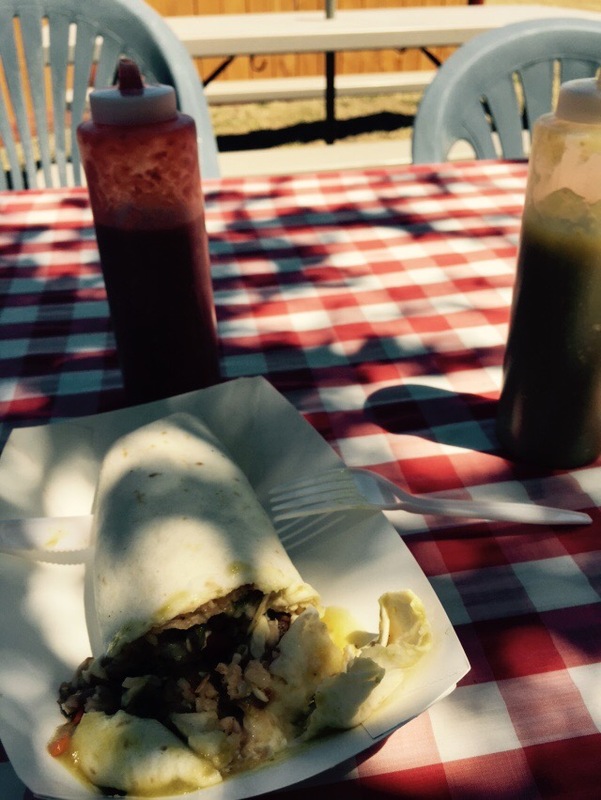 I woke up to…silence! There was barely a whisper of wind, a far cry from the blowing I fell asleep to last night. There was a friend outside my tent- a black one with white stripes and a big bushy tail. 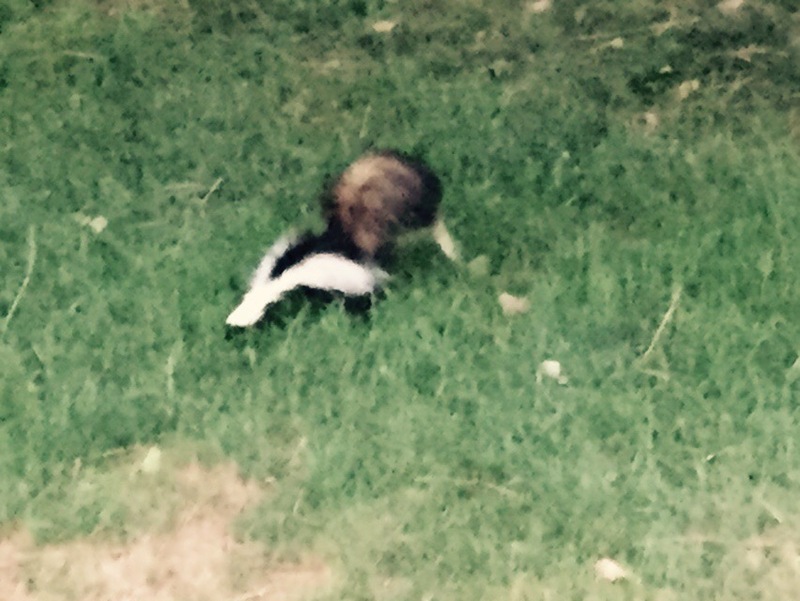 I’ve had my run-ins with skunks before, so I kept my distance but shooed him into the bushes. After breakfast and packing up, I crossed the Dechutes River where it empties into the Columbia. Not only am I following the Lewis and Clark Expedition, but I am now on the Oregon Trail route as well. 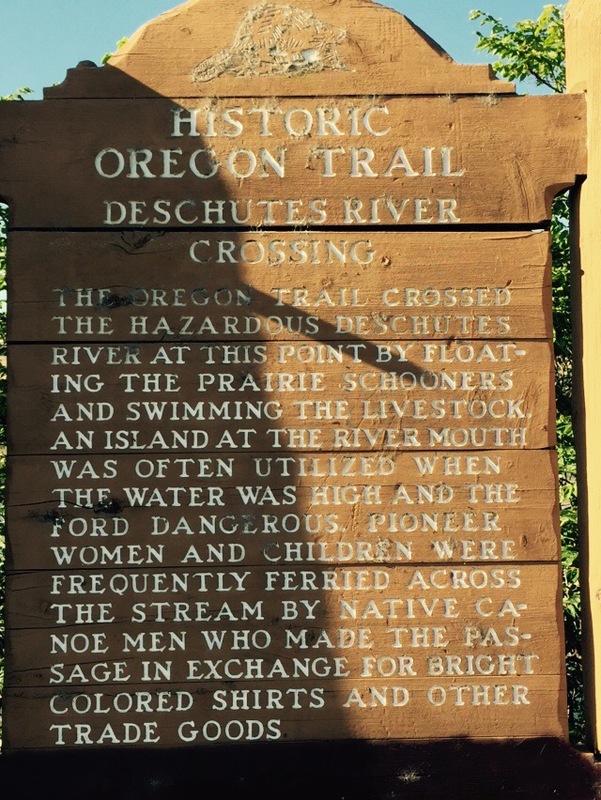 There was an informative historic marker about how the pioneers would float their covered wagons and swim their livestock across the mouth of the river. The Lewis and Clark Expedition also had found out that the reason most of the native villages were on the north side of the river was because of the warrior tribe that lived down the Dechutes. The stretch I pedaled today actually took the expedition a week to travel because of portages and high winds from the west (like the ones I had yesterday, I’m sure!). 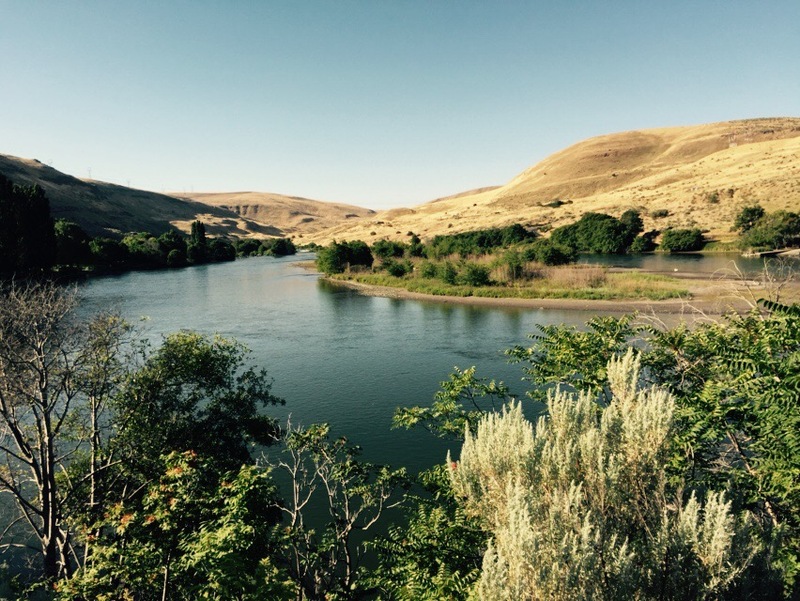 Back to my expedition…after leaving the Dechutes River, I rode Interstate 84 into The Dalles. Then I got onto a spectacular climb up to the rim of the gorge above Rowena. After rolling along the top for a few miles, the road dropped back almost to River level at Mosier. I decided that since I had a miserable lunch yesterday, eating my salami, cheese, and cracker in a road cut to try to get out of the wind, I would eat out today. 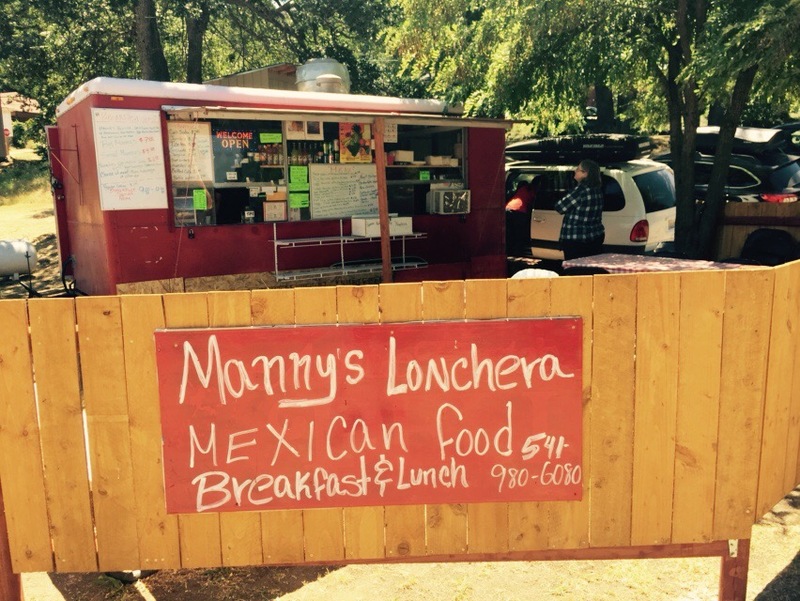 I stopped for a quick bite at Mannys Lonchera- a trailer off the side of the road and had a delicious chicken burrito. 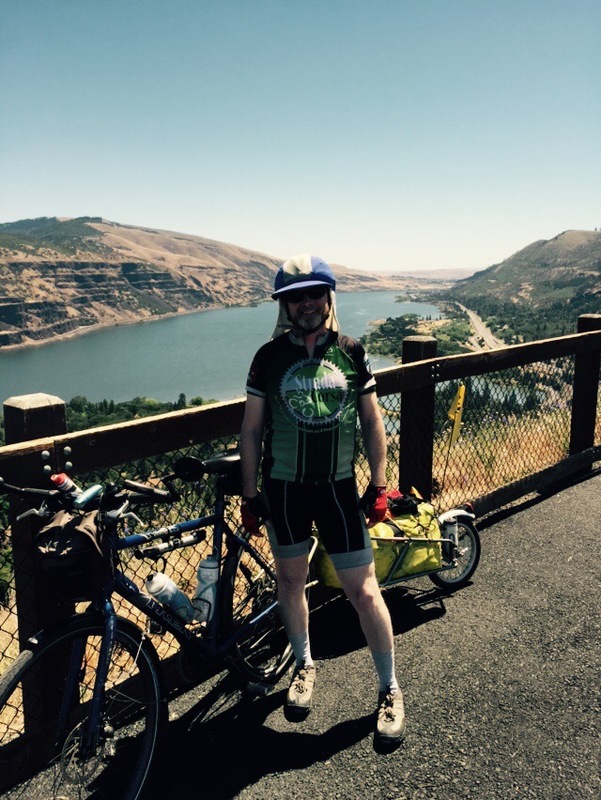 Then it was another beautiful climb, this time on a bike path, through the Mosier Twin Tunnels and along the canyon wall before descending down into Hood River. After all the misery of the wind yesterday, today was breezy, comfortably warm, and a joy to ride in. I arrived at the Rieke’s house where I will be staying tonight. 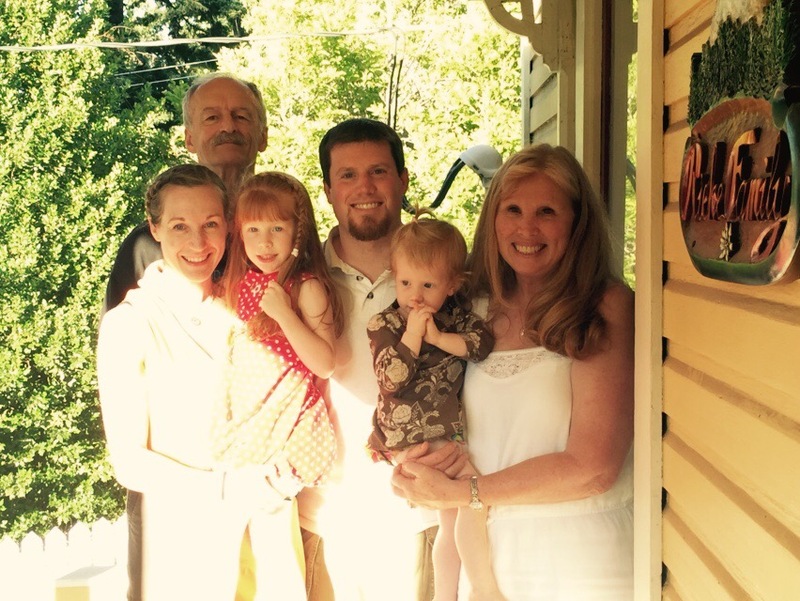 I met Renee, the mom, at a Christian school conference this past spring. She teaches at Horizon Christian School in Hood River. After hearing of my bike tour plans, she and her family offered to open their home up to a sweaty superintendent from Washington. We have had a great evening together with her parents, husband Abe, and daughters Mylee and Alina. Ede wants to know if you held your breath in the tunnel? I did! But I let it out as soon as I got to where the pillars were. It was actually kind of easy because it was downhill.